Chant du Départ: A Submarine Commissioning Approaches! 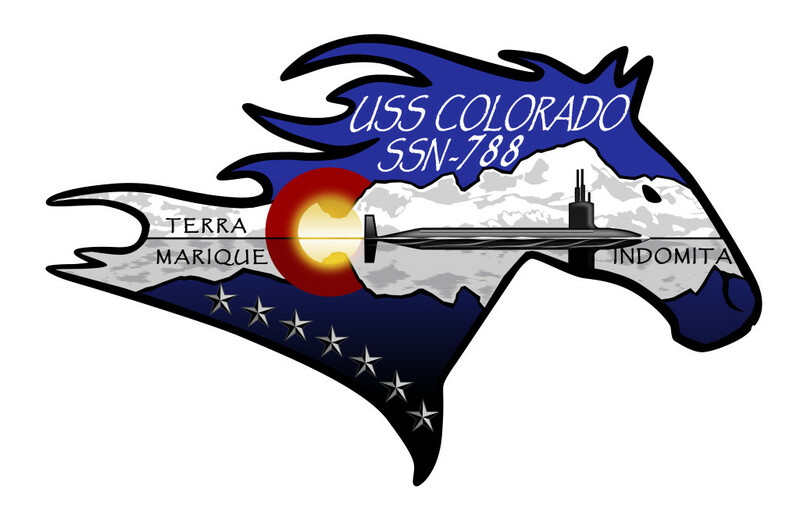 If all goes well, The Missus Herself, The Nuke, and Your Humble Scribe will be attending the commissioning ceremony of USS Colorado (SSN 788) on the 17th of March over at Groton in Connecticut. Because of her job The Nuke often has the opportunity to interface with the submarine fleet. She thought that it would be very special for us to attend the commissioning of one of America's newest warships. It's special because Colorado is the first state which we lived in as a family after returning to the United States from Korea back in 1982. The Nuke was born in Colorado, in Aurora over at the old Fitzsimmons Army Medical Center, we lived in Denver at the time. The WSO, though born in Wyoming (at F.E. 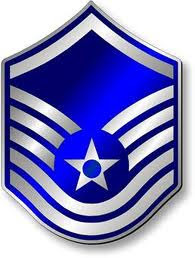 Warren AFB in Cheyenne), is a Colorado native as we lived in Fort Collins at the time. Most importantly, The Missus Herself considers Colorado to be her home state. Like I said, it was the first place in the U.S. that she lived. So the Sarge Tribe has numerous ties to Colorado. I have a deep fondness for the place and had some great times out there. Of course, the most special thing about it was that it was the first place all five of us lived together. So yeah, while Vermont is my home state, and I currently live in Rhode Island, I consider Colorado to be home as well. Love that place. Expect a full report when the day comes. I am really looking forward to it! I hope to get a good post out of the affair! How exciting! I'm genuinely envious. I love these sorts of things as well, and the best thing is that you're going with your whole family. NOTHING is better than that. I am very excited about this LL. When my daughter asked us if we'd like to go, I hesitated not a whit. Look forward to reading about it. I only hope the weather is decent. Last commissioning I went to, in Norfolk, it was cold with a rain that turned to snow! There is a special excitement in seeing a new naval vessel being "brought to life." I'm sure that you will enjoy the experience. The submarine service lives up to their motto, "The Silent Service" while doing some incredible things to defend our nation. You might want to read "Blind Man's Bluff" for a fuller appreciation of what they do. And that right there is an excellent book, one I need to re-read. It is a great book although a little dated. I was at Mare Island during part of that period and could hardly believe some of the stories I heard. And, by the way, I just finished Beck's second book and found it just as good a read as Ignighting. The depth of his research is awesome, and he is very even handed in his writing. I do wish he would provide more maps. I was reading the chapter on the assault on Quebec, the one map was insufficient. There is no such thing as too many maps in a work of military history. Even so, both books are superb. I was once given the complete commissioning package for those invited to attend the commissioning of USS Nimitz. It was marvelous. I hope Dave Harvey found it and kept it. Hopefully they continue the tradition on USS Colorado. I am surprised there is no photo of the earlier USS Colorado. We hope you have a grand time! The crest of the USS Missouri (SSN 780) includes the silhouette of USS Missouri (BB 63). At least Colorado's crest displays her predecessors seven battle stars. I've been to one Commissioning, USS Nicholas FFG-47 at Bath Iron Works and one decommissioning, USS Midway CV-43 at NAS North Island. A decommissioning seems like it would be a sad affair for former crew members. 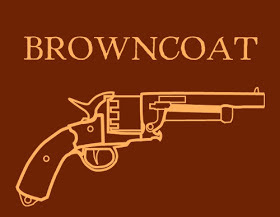 Blown away by that logo. Even though a firmly committed dry land inhabitant, the YouTube videos where the words, "...man our ship and bring her to life" is stirring and awesome. Hopefully this is their official one. 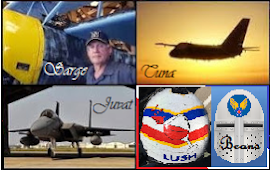 I think the Navy lost a lot of the history and tradition once all the Spru-can and FFG blue-oval-rope things took over. Homogenization, no character. Tuna - so far I have not been able to find any reference to a Colorado coat of arms. I'll know for certain after the 17th. 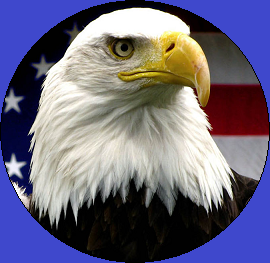 I wonder, if this sub had launched during the prior administration if the motto would not have been omni umbra domita? There be much happenin' at Naval Station New London right around the time you be heading there. OPSEC and all that but there be happy people soon. I will be there April 20 for the Change of Command of SSN 783. Pleased to see another VA class join the fleet. Hooyah Colorado! That said, I attended SSN 787 commissioning in Norfolk in October and Ray Mabus' daughter was the sponsor. She took great opportunity to be a snowflake leftie, making it about her instead of the folks waiting to 'man the rails'. It was painful to hear. Yeah, I suspected as much. "Rainbow" Mabus' daughter was the sponsor of SSN 788. Another highly informative post; it often seems that you can do no other kind. I try to avoid duds, but they happen anyway. Glad you liked this one Paul. That is one impressive crest! Needs a Badger, though.